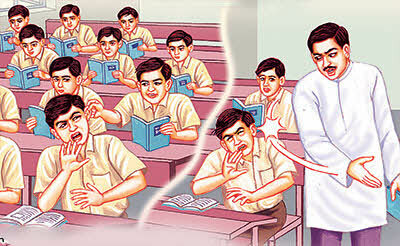 One day while Saurabh was studying in the classroom, one of his classmate pulled his ear. Saurabh kept quiet as he was scared of his teacher Sir Himmatji. Sir Himmatji was strict and appreciated discipline. So, Saurabh kept reading his book. 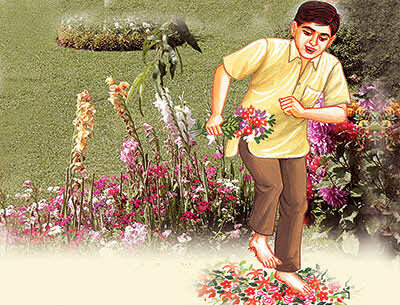 Lord Mahaveer said that there is life in earth, water, air, fire and vegetation. Experiments of well known scientist Dr. Jagdish Bose have proved that there is life in vegetation. If you give death, you will get death, if you give life, you will get life, if you give happiness you will get happiness and if you give sorrows you will get sorrows. The choice is yours………. You want life or death? Happiness or sorrows? A non-violent life is supreme. The trees in the language of silence teach us :- Be generous in thoughts and actions. Help any one that approaches, you forget enemity, hatred, cruelty.